Sandwiched between Courchevel and Meribel, La Tania ski resort is set in the heart of the world-renowned 3 Valleys ski area, offering superb skiing for all levels. This really is a snow-sure holiday, with an altitude up to 3,200m and over 2,000 snow cannons, Les Trois Vallees will guarantee superb snow all season. La Tania further benefits from all its slopes being north facing, holding snow until very late in April, and the ski area is known for having some of the best snow conditions in the whole of the Alps! Our friendly hotel sits right in the heart of the resort, enjoying a fantastic “ski to door” location – meaning that you can step outside the hotel after breakfast, clip in and ski down to the main ski lifts. After a fantastic day on the slopes, head back to the comfort of our hotel for afternoon tea and cakes, and some time to relax before dinner. Your hardest decision later in the evening is whether to try out some apres-ski, or relax in the hotel and recharge your batteries for tomorrow! Our hotel is located within walking distance of the resort centre and the slopes. Our comfortable hotel features a cosy bar and lounge, as well as a games room and indoor swimming pool/spa area. Wi-Fi is available throughout the hotel. All of the rooms have a shower and hairdryer. The transfer from Grenoble Airport to our resort is approximately 2 and a half hours, depending on weather and traffic. 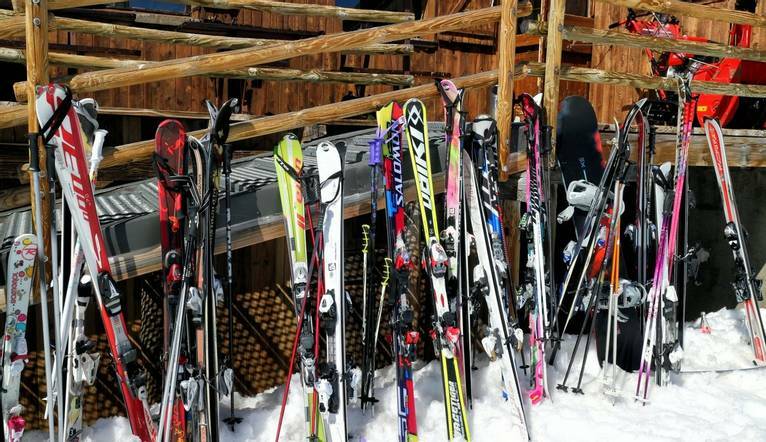 Ski and boot hire €135 - €230 approx.